The Supreme Court on Tuesday said it will consider the necessity of ordering sample re-verification of at least 10 percent of the names included in the final draft NRC if required. 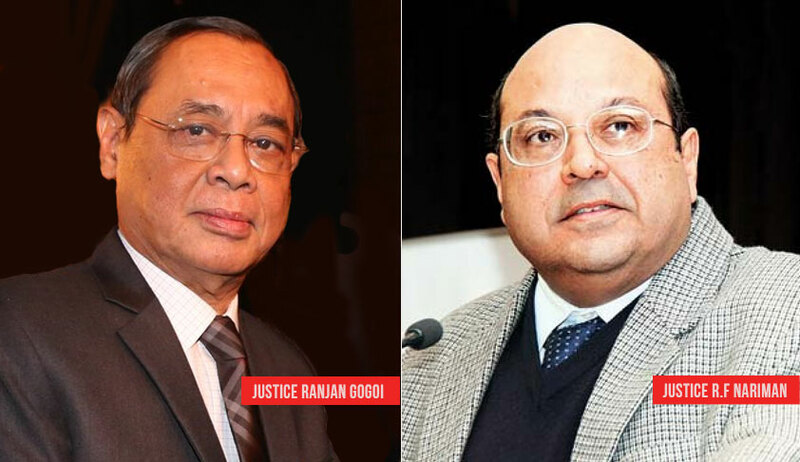 The bench of Justice Ranjan Gogoi and Justice Rohinton Fali Nariman observed so after perusing the district-wise data of the percentage of the population who have been excluded from the final draft NRC. During the last hearing, the SC bench had asked the Assam NRC coordinator Prateek Hajela to submit district-wise percentage data of those excluded from the NRC draft. The bench asked the NRC coordinator to submit a report in this regard and the possible time frame when such an exercise of re-verification can begin if ordered and the time frame within which the same can be completed. Can A Claimant Be Allowed To Change The Legacy At The Stage Of Filing Of Claims? Another issue that was debated in the court was whether, at the stage of filing of claims, a claimant should be allowed to change the legacy and submit additional documents though included in the list. The bench directed the NRC coordinator to submit a comprehensive report indicating the feasibility, including the time taken and the advantages/disadvantages that may accrue if the aforesaid modification/change of legacy is permitted. The bench then the postponed the date of commencement of filing of claim(s), which was scheduled for 30th August. The matter is now posted on 5th September at 2 pm for further consideration.